A 16-year-old tactical asset manager just entered the mutual fund business, and it already has $1 billion in mutual fund AUM. Egg Harbor Township, New Jersey-based Hanlon Investment Management launched the Hanlon Managed Income Fund and the Hanlon Tactical Dividend and Momentum Fund. Sean Hanlon, CEO of his eponymous shop, confirms that part of the rapid growth of the two new funds comes from his team moving their advisory clients in the same strategies out of the SMAs and into the new funds. Hanlon teamed up with Gemini Fund Services to launch the funds, and he aims to launch more soon. He hasn't expanded his team for the new products, at least not yet. "We're looking at increasing the distribution force and our marketing personnel and our key account and custodian relationships," Hanlon tells MFWire. "Those are all areas that we're in the process of ramping up." 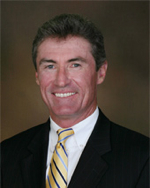 Hanlon founded his firm in 1999 and registered it with the SEC in March 2000. He says HIM has a "fairly severe tactical" approach to money management. They traditionally use an overlay approach to manage portfolios of mutual funds and ETFs for their clients. Hanlon sees more flexibility in making trades at the fund level, as opposed to for each individual SMA client. He notes that the momentum strategy can have up to 90 stocks at a time, which he says would be an onerous thing to replicate in each modest size client account. The managed income strategy he describes as "a bit of a flagship" for HIM. The momentum fund is actually built from HIM-developed, rule-based sector signals that the shop has made an index out of. The idea is to know when to buy or sell each sector, and then to buy that sector's five big dividend-payers and and its five best momentum stocks. The fund can swing all the way from 100-percent equity to 100-percent fixed come or cash.